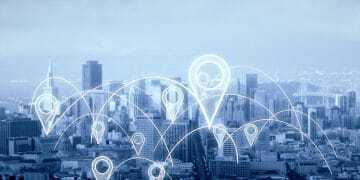 Greenwood Gaming, owner of the Parx Casino in Philadelphia, on Friday applied for a second “non-primary” sports betting location, according to the Pennsylvania Gaming Control Board. 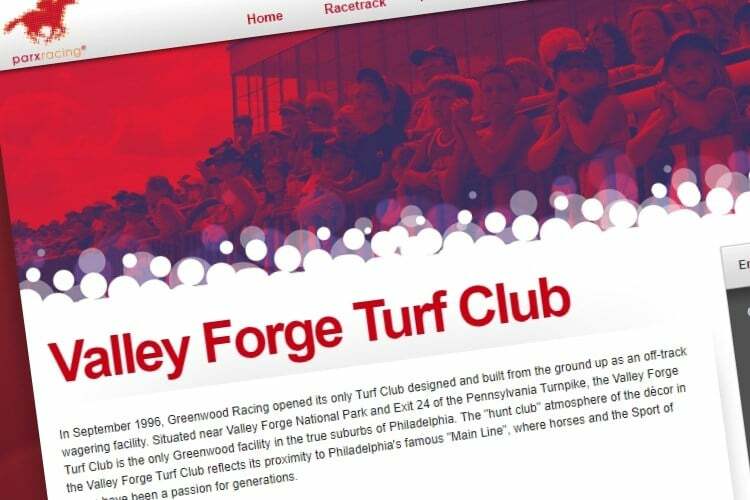 Greenwood Gaming, which has already launched legal sports betting at Parx and its South Philadelphia Turf Club, is now seeking approval for sports betting at the Valley Forge Turf Club. For previous sports betting approvals, it has taken about six weeks from the time of application until PGCB approval, so it would seem unlikely that Greenwood Gaming’s request would be reviewed at either of its February meetings, and more likely in March or April. To date, six sports betting certificates of 13 available have been awarded to casinos in Pennsylvania, and Presque Isle Downs’ application will be considered at Wednesday’s monthly PGCB board meeting. Six sportsbooks are up and running. The Valley Forge Casino was awarded a sports betting certificate to in December, but the sportsbook there is not yet open, and not date has been set. Three locations — Rivers Casino in Pittsburgh, SugarHouse Casino in Philadelphia and the Hollywood Casino at Penn National Race Course — were taking bets in December and reported $16.3 million in handle. That translated into $722,356 in taxes collected by the state. At 34 percent, Pennsylvania has the highest tax rate for a non-lottery run sports betting state. There is an additional two percent local tax. Greenwood Gaming launched its Parx Casino sportsbook on Jan. 8, and its South Philadelphia Turf Club location on Jan. 17. 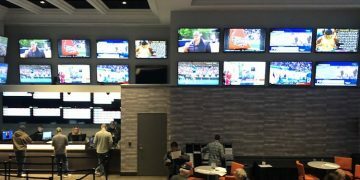 The Valley Forge location currently has a sports bar, and in its petition, Greenwood Gaming said it is an “exceptional location” for a sportsbook due to its proximity to Philadelphia’s “Main Line” neighborhood, King of Prussia Mall and the Pennsylvania Turnpike. According to the petition, the facility has applied to the Pennsylvania State Horse Racing Commission to get permission to renovate the venue to accommodate sports betting, though details were redacted from the public version of the application.